Noooooo… I am not planning on doing this myself! I think I have had my fill of long distance walking for a while. Even if my legs still nag me to get active again, sadly work demands mean that I must tippy tap away at a screen authoring nerdy technical documents rather than stride my way healthily around a blustery coastline with nose dripping enthusiasm. When I walked around this little island, that some of us mistakenly believe as being separate to the European continent, I had some great marked paths to use, but not a full set. Five years later and the new England coast path is well on its way to completion, and with Wales already ahead of the game, this only leaves Scotland lagging behind the rest of the British mainland. Yes, they have some great coast paths in Fife, Ayrshire and Moray – to name a few – but otherwise it can be tough finding a legitimate route through without using roads, or blazing a trail through head high bracken. Indeed, the North and West coasts have very sporadic routes and when I did discover them, they were invariably the most stunning and rewarding sections of my entire walk. Highland Way that deserves some help. 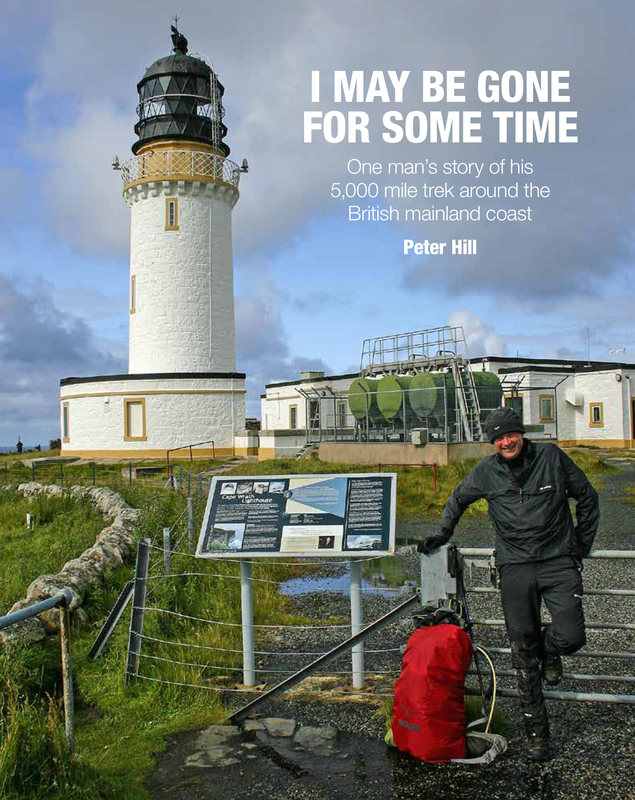 The walk from John O’Groats to Durness is 150 miles long and can be done in easy stages. The route is still under development in places, although The Highland Council are doing a great job of looking after the route within their remit. From 30th April to 30th June, Friends of the North Highland Way are organising a challenge event to help raise proceeds for the development of the Way into a multi-user route for horses, cyclists and walkers. There is a prize for the first person to send in their completed Pilgrims Passport for verification. So if you fancy a challenge, why not give it a go. An entry form can be found here. Tina Irving was the “perpetrator” of the North Highland Way, and still works in conjunction with public services in Scotland and others to make it a multi-use route. It has been renamed the Camino of St. Brian in honour of St. Brian Arrowsmith whose father fought for the Spaniards in the Low Countries, and Brian Richard Sparks, who put up with Tina for over 30 years. Tina speaks fluent Spanish and often organises Spanish events in Ireland – see www.tinasfreelance.com. She has accompanied the Royal Irish Fusiliers to lay a new stone for the Battle of Barossa which took place in Chichlana de la Frontera on 5th March 1811. She is an ex Corporal and served in 219 Wessex General Hospital from 1972 to 1979. She has written a number of books, including “Creating the North Highland Way” and the “Battle for Brough Bay”, both available on Lulu. This entry was tagged Britain, Caithness, Camino, Coast, Dunnet, Durness, hiking, John O Groats, LDWA, North Highland Way, Scotland, Sutherland, Thurso, Tina Irving, UK, walking. Bookmark the permalink.